On Sunday, the analytics firm reported, as noted by Patrick Seitz of Investors.com, that Microsoft's share of online users in April sunk below 90 percent for the first time. The firm's historical data dates to November 2007, back when Macs represented just 3.4 percent of users on the web. For the quarter ending in March, despite reporting Mac sales that were lower year-over-year, Apple noted that its market share still grew because the overall slowdown in generic PCs was much greater. Data from IDC had estimated that the overall industry had contracted by 11.5 percent in the March quarter, with the two leading PC makers, Lenovo and HP, each experiencing a drop of 8.5 and 10.8 percent of their respective shipments. In contrast, Apple was reported to have only seen a 2.1 percent drop in year over year sales volumes. The PC industry collectively shipped 64.8 million units in the March 2016 quarter; those numbers haven't previously fallen below 65 million since 2007. Apple's Mac market share gains in both quarterly sales and in the installed base on online users have come in parallel to the establishment of the company's iPad business, with both product lines focusing upon users' desire for mobility with models that feature more efficient battery life and thin and lightweight form factors. 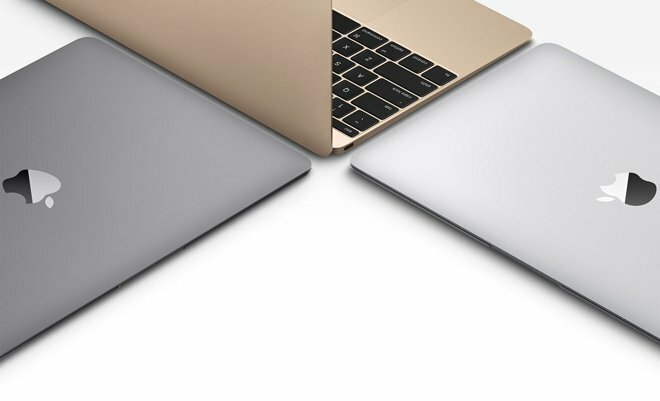 Apple's new 12 inch MacBook is reportedly the company's best selling Mac model. The company has also worked to push enterprise adoption. In particularly, Apple's increasingly close enterprise partner IBM recently noted substantial support cost savings of $270 per user switched from a Windows PC to a Mac. Microsoft has reacted to slowing PC sales--and the popularity of competitive tablets led by iPad--by introducing its own Surface line of hybrid PC hardware, which has attempted to divert interest in tablets back toward the conventional Windows PC desktop by adding touchscreen features and a tablet-like form factor. 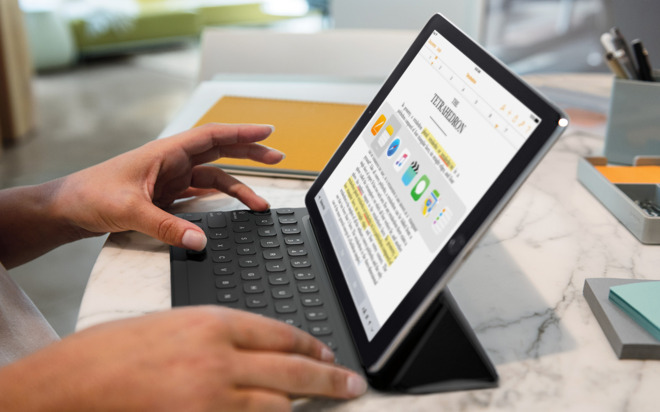 However, Apple has countered Microsoft with its own high-end iPad Pro models, which leverage the power of the company's latest A9X Application Processors to reach competitive performance at a lower price. The initial 12.9 inch iPad Pro immediately outsold all Surface shipments in the emerging "detachable" premium tablet market, both in the initial December launch quarter and in the subsequent March quarter--even before Apple began selling its even lower priced new 9.7 inch iPad Pro model. Apple's chief executive Tim Cook noted in the company's March quarter earnings call that the company expects to see its best iPad revenue compares in over two years during the June quarter, attributed to demand for the new iPad Pro models.